and set up custom organizing systems that fit your space and lifestyle. Pantry organizing, clean cabinets, fresh spaces and even an organized fridge! We will create a peaceful sanctuary free from the chaos of life. Get your clothing off the floor and into the drawers. Work/Life Balance: effective systems to manage your paperwork, mail, bills, etc. so you can spend less time in the office and more time living! Get Handy! : Shelving, racks and hooks go a long way when it comes to organizing tools and other accessories. Now you can finally fit your car in the garage! We can make even the smallest of closets functional! We offer closet design, installation and organizing services for any size closet. time management techniques to help keep your new space and systems on track. Last but not least, we can also assist with shopping, decorating, event planning, paying bills and more! Our dedicated team of professional organizers will help you clear the clutter and create a comfortable, functional, organized home that you can enjoy. Whether you just need a kick start or help from top to bottom, basement to attic, our efficient organizers will get it done. Our organization services go beyond just your physical space. We listen and create a plan customized for you. We will help you feel less overwhelmed and keep you focused and on-task. 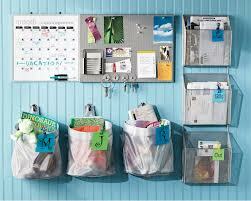 Our Boston home organizing services include organization of all areas of your home. We can organize that dusty attic, cluttered garage, or paper-filled home office. Professional organizing is more than just tossing things. We take the time to set up organizing systems that you can easily maintain. In 2014 Organizing Boston was named Best of Boston Home™, Best Professional Organizers. Our professional organizers are based all over the greater Boston area and we can bring our professional services to any town in Eastern Massachusetts.